Excellent Judges Evaluation form. Serrell et al. 2006. 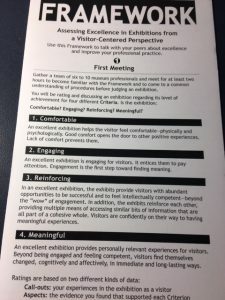 This framework is very useful for obtaining true feedback from colleagues who normally hesitate to criticize for making an exhibition more meaningful for visitors. Very much helpful for making an exhibition more successful. In 2006 museum evaluator and researcher Beverly Serrell published Judging Exhibitions: A Framework for Assessing Excellence. Developed by Serrell with a group of museum colleagues, the Framework aims to provide museum professionals with robust and reliable language and criteria for assessing the quality of their work. An excellent exhibition is Comfortable, Engaging, Reinforcing, and Meaningful. These qualities are the distillation of months of exhibition visitation and analysis conducted by Serrell and her team. COMFORTABLE: An excellent exhibition helps the visitor feel comfortable–physically and psychologically. Good comfort opens the door to other positive experiences. Lack of comfort prevents them. REINFORCING: In an excellent exhibition, the exhibits provide visitors with abundant opportunities to be successful and to feel intellectually competent…the exhibits reinforce each other…. MEANINGFUL: An excellent exhibition provides personally relevant experiences for visitors…. During my years at the Smithsonian’s National Museum of American History the Framework was used widely by colleagues at Smithsonian as well as other museums. I led or participated in many lively discussions generated by using the Framework and then debriefing about science, art, and history exhibitions. I’d love to hear from folks who are using the rubric today. 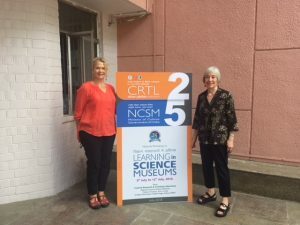 When my colleague Karen Lee and I were asked to present week-long workshops on museum learning in Kolkata and Mumbai, India, in July, 2018, we decided that the Framework would anchor our presentations. Having taught museum education and evaluation courses over almost 10 years for our host, the National Council of Science Museums (NCSM) we knew well the staff and exhibitions from many of the 26 museums that make up the NCSM consortium. And we knew that despite profound cultural differences, Indian museum professionals have long experience with the Western exhibition idiom. India boasts the oldest museum in Asia, the Indian Museum in Kolkata, founded in 1813. 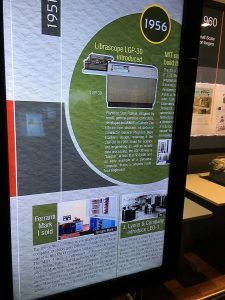 And the curators, designers, and educators of NCSM have for years been developing hands-on exhibitions in the manner of the Exploratorium and other science museums in the US and the UK. We were certain that the visitor-centered approach reflected in the Framework would be of interest to our audience. If you are not familiar with the Judging Exhibitions Framework, you can find a copy of the rubric here. And Serrell’s book is still in print. For more information, here’s an article from the journal Exhibition comparing the Framework to several other forms of assessment. Essentially the Framework is a tool for assessing how well an exhibition embodies the four above criteria. The rubric provides a variety of specific elements that make up each criterion. For example, the elements under “Comfortable” apply both to physical comfort (seating, lighting) and psychological comfort (age appropriate labels, welcoming atmosphere). Museum professionals first learn how to use the Framework, spend several hours carefully applying it to “judge” an exhibition, and then gather to debrief and share results. The value of this exercize lies in the tension between the clearly delineated criteria and the varied assessments made by the participants. In the debriefing, most everyone will agree about some elements, making strengths and weaknesses clear. But judges often disagree about the same criteria, and these different analyses generate extremely insightful discussions. 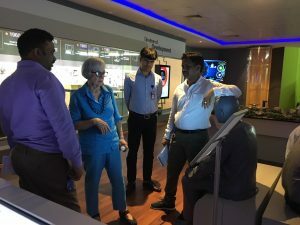 In Kolkata participants applied the Framework to an exhibition at Science City, Science and Technology Heritage of India, recounting India’s thousands of years of mathematical, medical, and technological insights and discoveries. 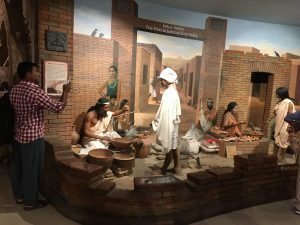 A diorama about early pottery making that Judges found to be engaging for visitors. 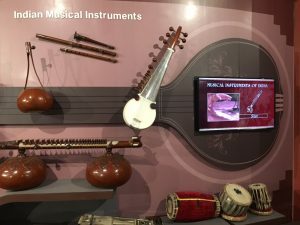 A display of traditional musical instruments that Judges thought could be more clearly related to the exhbition theme. 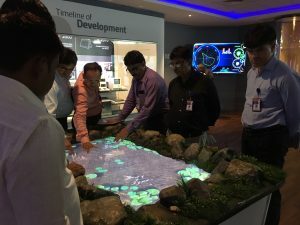 Judges interacted with an engaging virtual fish pond but wanted more information on its message and its connection to exhibition theme. Judges liked the historical perspective provided by a timeline but found labels very dense. 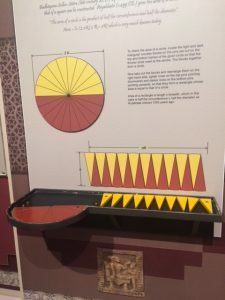 The Framework generated discussion on basic aspects of comfort such as seating (no seating in the Heritage exhibition may discourage sustained visits; on the other hand the science centre has found that seating encourages eating and drinking in the gallery). Discussions also highlighted the power of design to shape interpretation. In Machined to Think participants marveled at the amount of space between interactives, which contributed to comfort, engagement, and meaning-making. Judges explained that in many of their home institutions the interactive galleries are too crowded with exhibits that bleed sound and activity and that discourage true comfort, engagement, and understanding. The Framework encouraged discussion of meaning-making in exhibitions. Most Judges found the Heritage exhibition to be extremely meaningful. At the same time they observed missed opportiunities for the display to build on itself, to be reinforcing. Judges in Mumbai concluded that the exhbition would be especially meaningful for younger and teen visitors and encouraged the developers to think of ways to engage older visitors. According to feedback from participants, staff from at least four institutions have brought copies of the Framework back to their home museums, have discussed them with colleagues, and plan to use them in planning for new exhbitions or in the renovation and reinstallation of current shows. Two participants from the same museum are planning to translate the entire rubric into Hindi for greater use among museum staff. Note to readers: I haven’t talked with Beverly about our work in India, but I hope she’ll be pleased to read about it. ← Children at the Border: Where Are Museums? Niños en la frontera: ¿Dónde están los museos?